I’ll Take Some Robitussin with a side of Rabies Vaccine, please. So you know how I was running mile repeats like it was my job for a couple weeks there? Anyone who’s ever trained with Coach Jeff knows that that usually means you’re tapering for a race of considerable distance–and I was. Enter one day in January when I get an email reminding me of my registration. Since my current training goal is to run a 100 mile week, I asked Jeff if he’d mind me doing it as a training run (because OBVIOUSLY I had not put in a solid training cycle.) He gave me the green light, and I decided to keep my beak shut about it so I wouldn’t get all headcase-y over it. I was even fairly convinced I could break that mystical 4-hour barrier if I just started slow and steady and stayed cool. And then Friday morning I woke up with the Ninja Death Star Cold* and was coughing so hard it made me hurt, well, everywhere. I loaded up on medicine, laid low, and hoped for the best. (I almost never get sick so I thought maybe I could beat it.) Saturday morning rolled around and after a restless night of hacking, I made the stubborn decision to head to Austin anyways. Thankfully, Mr. Engineer drove while I coughed and whimpered. By this time I had no appetite, was feeling queasy and basically wasn’t getting any better. So what did I do? Lined up at 15th & Congress at 6 am the next morning anyways, that’s what. this blurry image is a lovely representation of how I was feeling: foggy. blurry. blah. I thought I felt okay and I reeeeeallly wanted to run another marathon before I leave the country–but you know where this is going, don’t you? 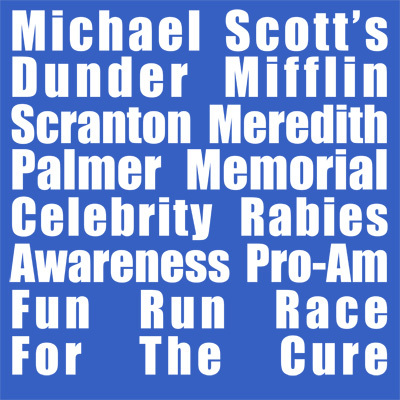 By mile 4 I was coughing so hard I was gagging. To make a really gross story short, I dropped out at the half. So I ran a half marathon (and by ran I mean walked a ton because who can run when they’re hacking up a lung?) sick as a dog. Oops. coming through the chute...13.1 miles ahead of schedule. 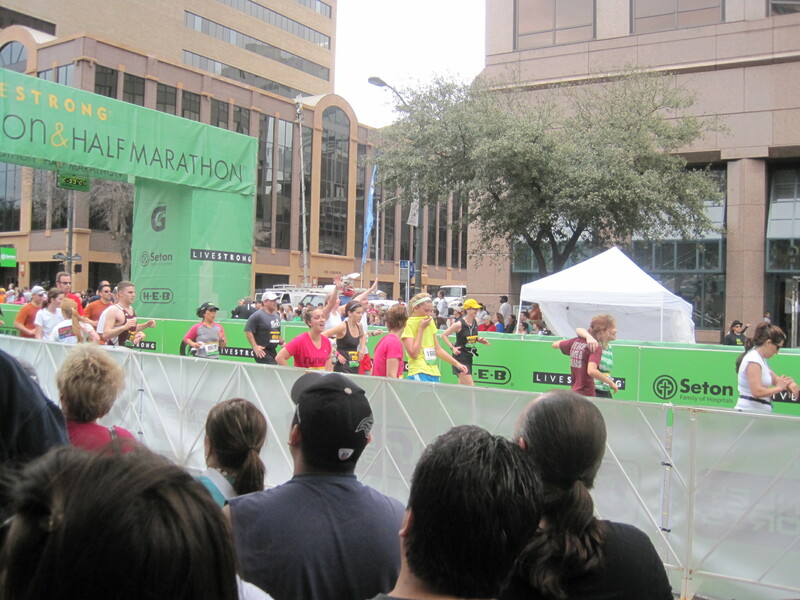 Also, the hills of Austin are TOUGH, and anyone who tells you otherwise is either lying or runs hills A LOT. 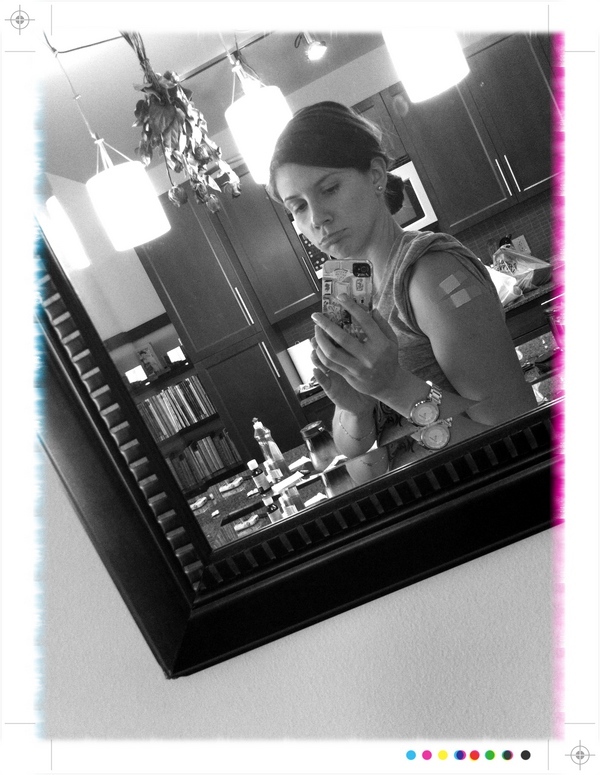 So after collecting a new personal worst in the half distance, Monday I was treated to my first appointment at Passport Health, where I got round one of all the vaccines for the big move. Four shots. In one day. Have I ever mentioned I hate needles and they make my hands go numb and I almost pass out and cry? And of COURSE I started running a fever from all the shots. Because I wasn’t already feeling crappy enough. Bah. So for now, I’ll be thinking about how easy it apparently is to contract rabies (i.e. rabid animal licks your recently shaven leg and BAM! rabies!) Who knew? *adapted from Jeri’s Ninja Death Star Flu. Name patent pending. Uh hi. 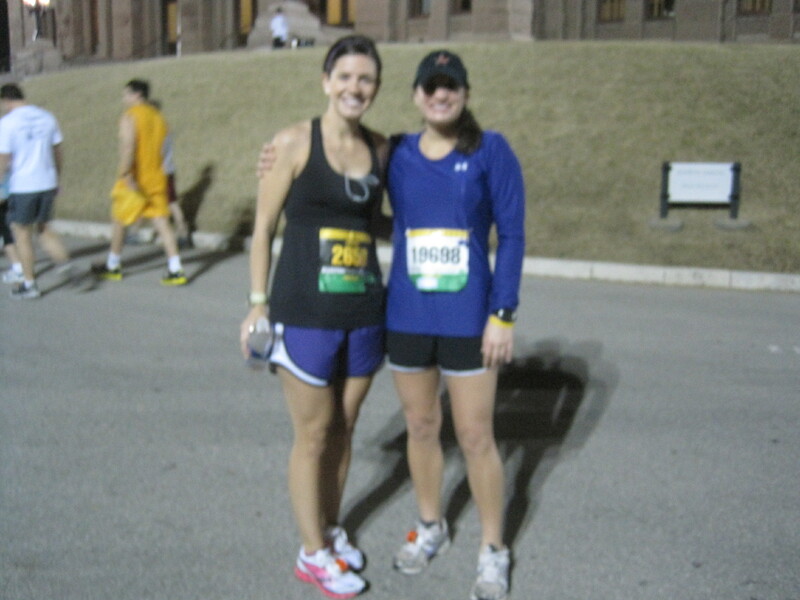 Remember me… your running twin? Why did I not know about this? Poop nuggets… sorry you had a sucky day. I probably wouldn’t have made it to the halfway point. Even as a nurse I sometimes get a little anxious about shots and hope that they don’t have to lay me down and get me orange juice…gah! Not only should that be the official name for this cold that has taken BOTH of you down, but it should have an acronym (NSDF). Just like everything else medical-related! um, yuk, you poor thing. i would have done the same stubborn thing, though. hope that by now you are feeling better, and enjoying cup after sweet cup of froyo! 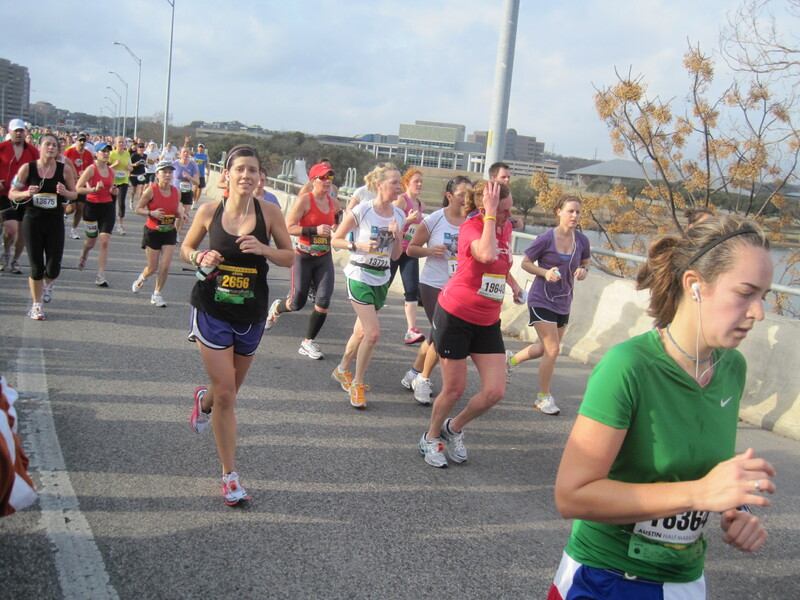 Funny story: I ran Austin this weekend, as well, and I saw someone running wearing that Office Fun Run t-shirt! Oh and yes…those hills were killer. This just means you’re saving your sub-4 for some random adventure race on a new continent, after which you should cash in on ALL your froyo IOUs!